With the arrival of 2017, many people are thinking about resolutions to make in the new year. Often people make resolutions to spend less money or to lose weight. There are, however, a wide array of resolutions you can make that can help your personal and professional life. Here at Cornerstone, we recommend a few of these online resolutions to make in 2017! Check your sources. With fake news running rampant in 2016, we encourage you to not only read the full articles you’re sharing (not just the headlines) but to also look into the publication to make sure that it is 1) not satirical, and 2) from a source you trust. Radiate positivity. Don’t clutter your friends’ newsfeeds with doom and gloom. Spend this year sending out more positive messages out into the Twitterverse. Create your own content. Don’t rely on others all the time. Create your own memes, gifs, and viral videos that are “totes relatable.” You may even find yourself starting a trend. Remember, someone had to be the first to create a Kermit meme. Do some networking. The function of social media is to connect us with those with similar goals and interests no matter how near or far they may be. Follow someone new on Twitter or connect with them on LinkedIn. You may gain valuable content and insight from them. Review your service providers. Often times we only Yelp or otherwise review companies when we are upset. While this is good for others to know, it is also helpful to know what companies do a good job. So next time you have a great waitress, mechanic, or HVAC technician, give them 5 stars on your favorite review platform! Connect with brands. Brands are in on the social game, too. Follow your favorite brands to see their content and updates. You may even be the first to know about a new product launch or great sale. Take a chill. It’s okay to put your phone down every now and then to take a social media break. There is so much constant information on social media that sometimes our brains just need a few moments to just be. Join us this year in making these online resolutions for a better 2017! 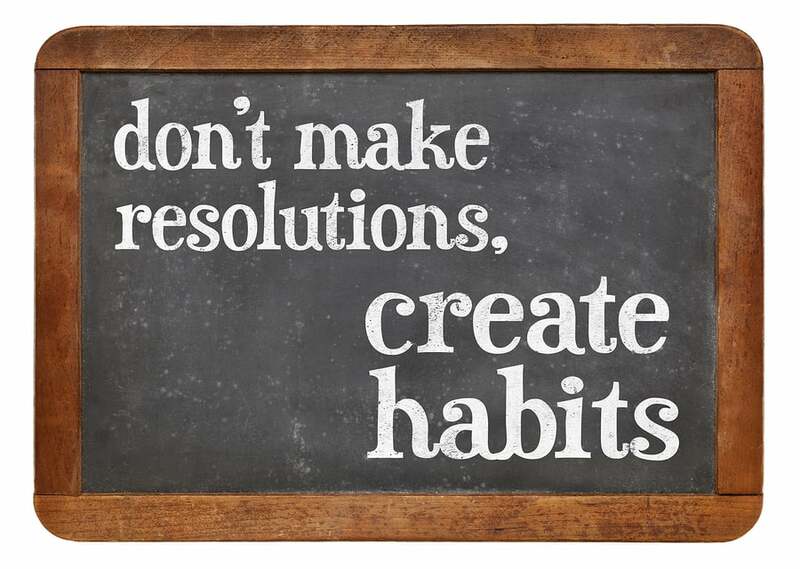 Let us know what other resolutions you plan to make.